The Living Room is at 105 St Marks Road and is our church community space. Furnished in a relaxed and comfortable style, it is versatile enough to be used for lots of different church-led activities throughout the week. 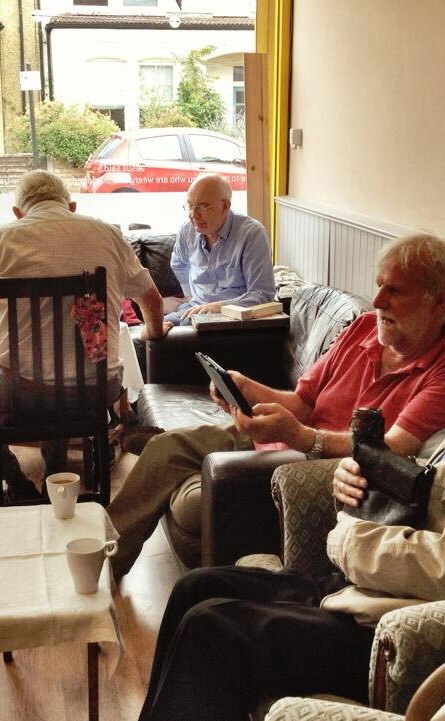 Many of our weekly groups are social in nature and you are welcome to just pop in or invite a friend. Although we are very informal our aim is to get along side those in our community and point them towards Jesus. There is something for everyone so come along and join in. Like our Facebook page to get regular updates of events. For more information about anything happening at the Living Room, please contact Christine, the Living Room Manager on 0208 411 0611, by email christine@bhpcc.org.uk, or by using the Contact Us form.